You are here: Home / Town Happenings / New Attraction Coming Soon! How lucky are we in Boulder City that Tom Devlin and his family picked our town to call home?!? We’re thrilled to share that Tom is moving into the former Alpaca Imports location (1603 Boulder City Pkwy.) 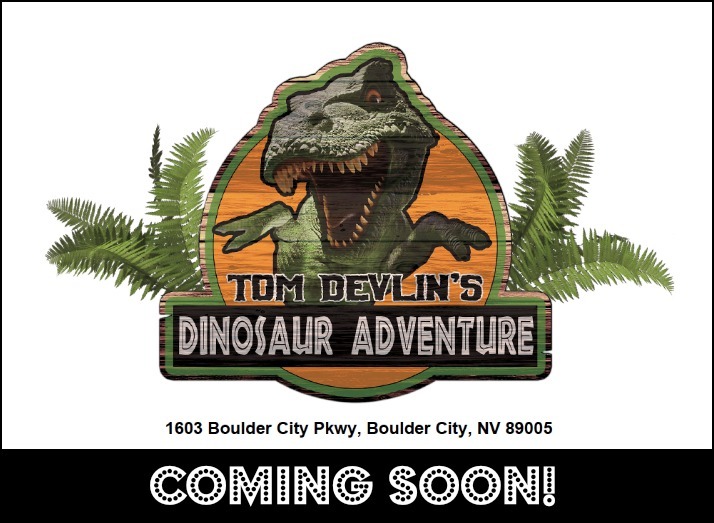 for what will be a whole new attraction and another great reason to visit Boulder City! If you’ve never been to Tom Devlin’s Monster Museum – well, we can’t understand why! He’s a terrifically talented movie make-up and creative special effects artist who’s worked on lots of different television and movie productions. The museum has become an established Boulder City destination for spooky fun times (and costumes!) over the past year-and-a-half it’s been open. The business is scheduled to open on Saturday, January 26th! Hours will be daily from 10am – 5pm. We’ll see you there!